What makes this so odd is that, from a certain twisted perspective, the actions of the nuns throughout the rest of the film supports this point of view. They go into this foreign land with the intent of “helping” it, by teaching them morals and lessons that oppose their world view, destroy many of their ancient relics and throw away their societal beliefs in favor something “better.” One nun even admits at one point that she has a hard time telling them all apart. “Black Narcissus” portrays the Anglican organization of nuns as a self-absorbed, petty and sometimes ruthless group that wishes to make the rest of the world like them. Honestly, I had John Williams’ Imperial March going through my head throughout most of this movie, imagining Sister Clodagh as Darth Vader and having a blast with this movie. I think the charm of this movie is that it knows the nuns aren’t doing this for the greater good and are, in some ways, making things worse with their actions with how little they understand this different culture. They stick so close to their orders from higher up that it does make them seem like the villains. Or at least, it does that for the organization itself. Over the course of the film, we see how the ideals and standards of being a nun effect these sisters, both physically and psychologically, to the point where some of them feel like they don’t have any identity anymore. These women try to act without emotion or weakness, and it feels like this is slowly killing them. They’re no longer act as individuals and are little more than a cog in a much bigger machine, when they want to be much more than that. I’ve never seen a film that handles Anglican nuns with such open contempt, while also making them feel so human and relatable, which makes “Black Narcissus” such an odd film. Outside of that, this is a gorgeous movie, with beautiful, stunning back drops and paintings that make you feel like this is set in the Himalayas. It might be one of the best uses of Technicolor while still having a distinct dim-light feel to it, making it feel atmospheric and moody while still having wonderful visuals, especially when you realize this came out in 1947. 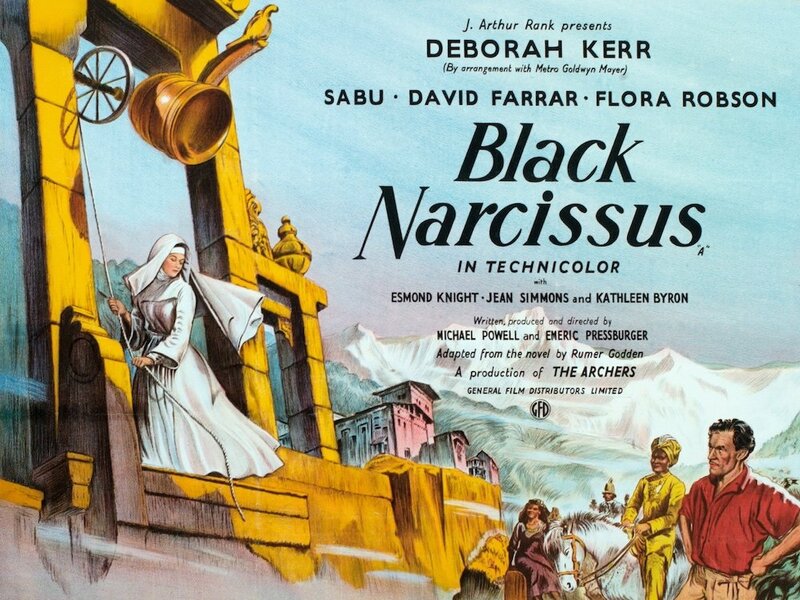 For these reasons, I find “Black Narcissus” to be a film that has only gotten better with age.